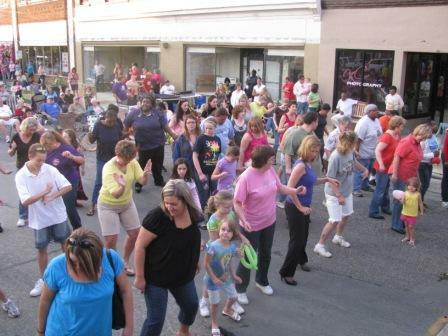 The first 2018 Boogie on Broad Concert Series presented by Dunn Area Tourism Authority is set for Thursday, April 19 from 6:00 p.m. to 9:00 p.m., kicking off the series with a free concert by local favorites The Band of Oz! Join us for this FREE, family-friendly event to include DJ Butch Halpin of Carolina Sounds, Sybil the Clown providing Face Painting and Balloons, Funn-4-Ahl Concessions in addition to the concert. It’s also Third Thursday—so Broad Street Deli and The Cellar will be open, too. Located at the intersection of Broad Street & Wilson Avenue, in Downtown Dunn. This event is open to the public and everyone is encouraged to bring lawn chairs. In case of rain, the concert will be held at the Dunn Shrine Center, located at 211 N. Clinton Ave., in Dunn.